ABS-CBN Foundation bagged the award for the Students’ Choice of Network Foundation in the recently concluded 9th USTv Students’ Choice Award held at the Unviersity of Santo Tomas’ Plaza Mayor. 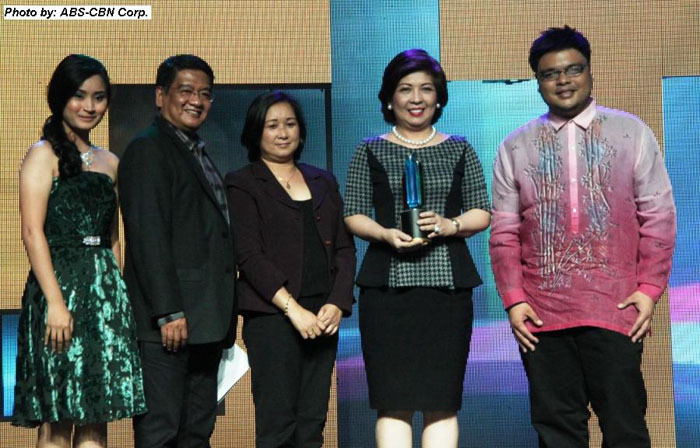 This is the first time that USTv gave an award to the Best Network Foundation. The award aptly captures the extent of the influence of television. UST Rector Fr. Herminio Dagohoy believes, “TV networks have a great responsibility in guiding people especially the youth in making good choices by providing them with value-oriented programs.” The award serves a conduit that allows TV networks to work hand in hand with educational institutions in developing the youth into more critical, sensitive and responsible viewers. 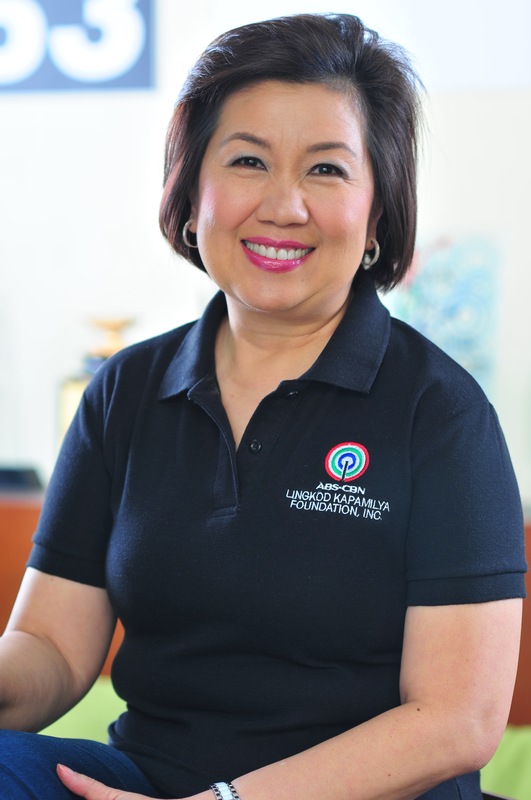 Clarissa Ocampo, ABS-CBN Foundation’s Chief Finance Officer said in her acceptance speech shares, "it is very important to us and inspiring because we are the students' choice. 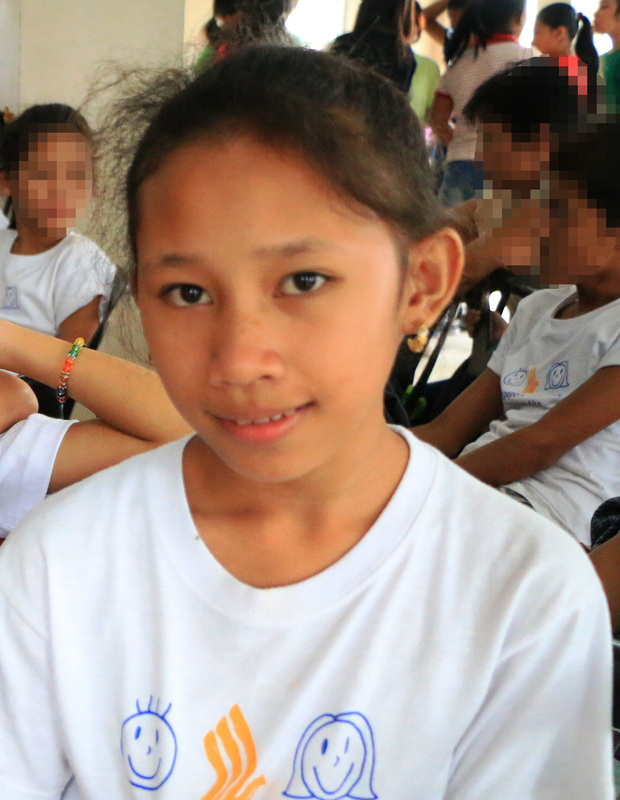 Young people – it means that we have partners here who would like to make the country better." Together with two students/ presentors are (2nd from left) Mr. Bong Osorio, Head of ABS-CBN Corporate Communications, Ms. Marivic Trinidad, ABS-CBN Foundation’s PR Department and Ms. Clarissa Ocampo, ABS-CBN Foundation’s Chief Finance Officer.